Pictured is a very colorful advertising tip tray from the Hargadine McKittrick Dry Goods Business in downtown St. Louis, Missouri. This tray often denotes small town stores in the states of MO and IL primarily. 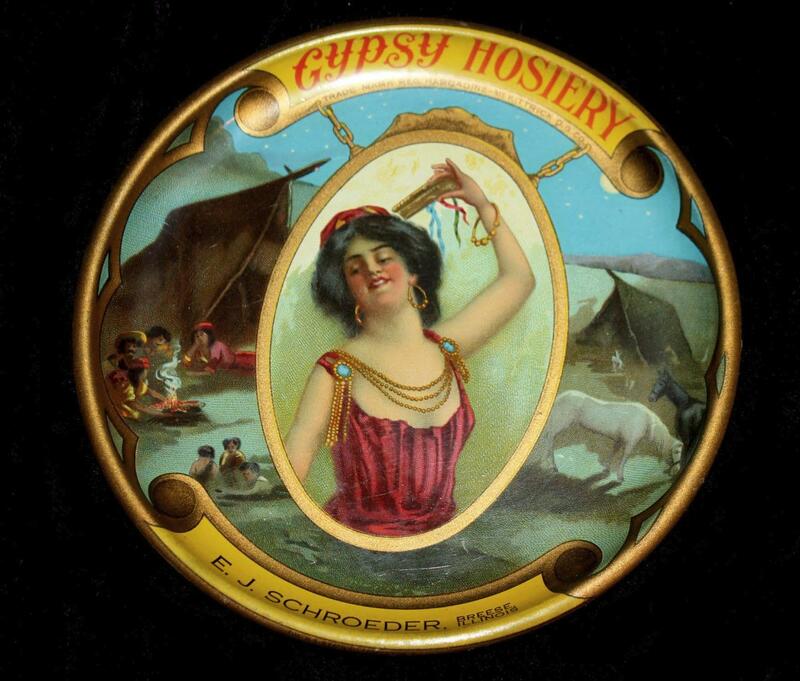 Circa 1915 era. 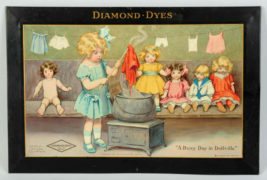 THE DIAMOND DYES BRAND LEFT A MARK WITH THEIR ICONIC DYE DISPLAY CABINETS! 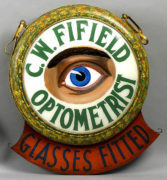 C. W. Fifield Optometrist Reverse-on-Glass outdoor hanging sign, with metal brackets holding the opaque glass tightly in place. Stoneware crock with a fish on the label from the Trask Fish Company. The Trask Fish Co was in downtown St. Louis. Missouri. Chipped Glass Bank Sign from the Rawson and Evans Glass Company in Chicago, IL & New York City, N.Y. Circa 1895. 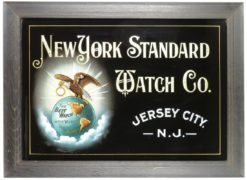 Pictured is an early reverse on glass advertising sign from the New York Standard Watch Company in Jersey City, New Jersey. This sign is in the original frame and is from the 1900 era. Spectacular graphics with the eagle on the globe holding a wedding ring in it’s beak. Featured is a beautiful Diamond Dye Brand wooden spool cabinet with a beautiful colorful tin sign on the front door. 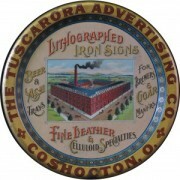 Featured is a beautiful tin tray advertising the Tuscarora Advertising Companies production capabilities including metal ash trays, signs, for brewers beer and cigar makers, along with other types of products.